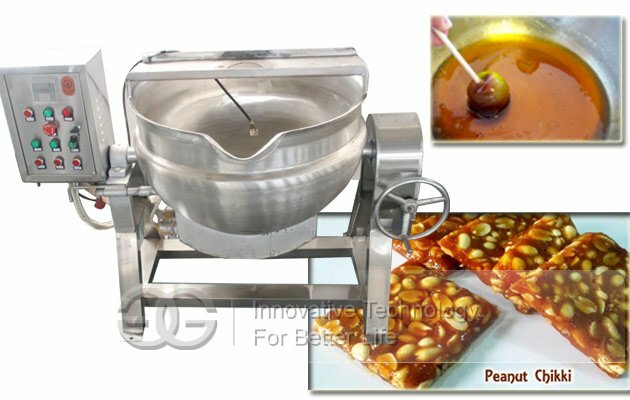 Sugar cooking melter machine is made of stainless steel,widely used to make peanut chikki,sesame brittle,puffed rice cake,etc. 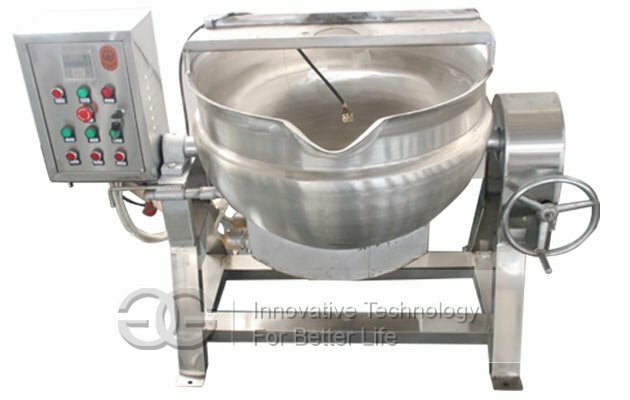 Sugar cooking melter machine also called Jacketed Pan/Jacketed Kettle/Sugar Pot Mixer Jacket kettle (stainless Jacket kettle), made of stainless steel, widely used in the producing of candy, medicine, milk, wine, cake, drink, Honey Line, can, ect, also can used in the big restaurant or dinning room for making soup, cooking food, fricasseeing, making congees,which is mainly used for processing candy, rice crisp, beverage, pharmaceutical and other processing. 1. 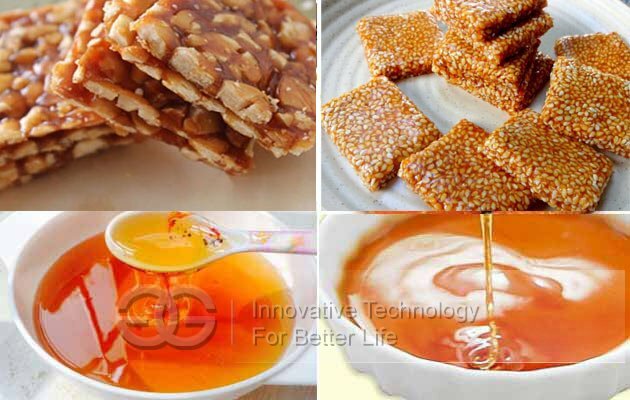 The heat of source is 380V, with electrical bar, thermocouple and conduction oil in the interlayer. 2. The highest temperature which controlled by electric cabinet can reach to 150 degrees. 3. 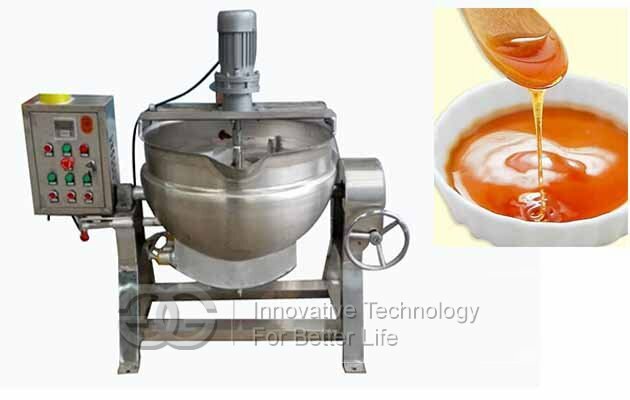 Big heating surface, high heat efficiency, heating uniformity, short liquid boiling time, heating temperature easy to control. 4. 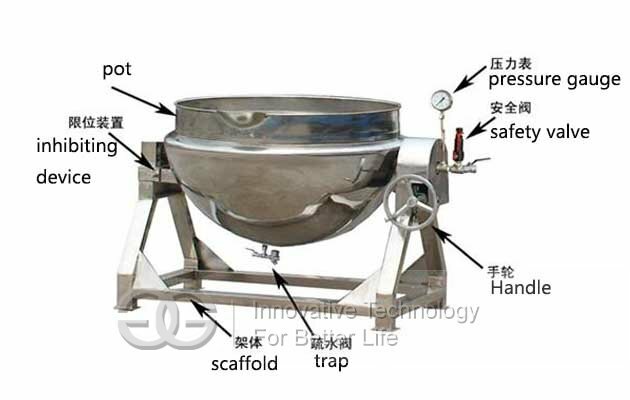 This device is mainly composed of body, inlet, drainage, tipping pots and other components. 5. The body parts are body outside welded together. Inner body made of 06Cr19Ni10 stainless steel, the outer body made of 06Cr19Ni10 stainless steel. The structure of full penetration welding is required by GB150-1998. 6. The steam portion is made up of universal ball head and a pipe, pressure gauge, safety valve installed in the back of the body.